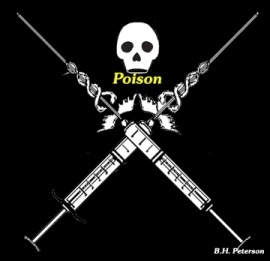 Posted at: http://survivingthemiddleclasscrash.wordpress.com/2009/08/09/depopulation-by-inoculation/ by Barbara Peterson August 9,2009. In September of 2007, I interviewed Dr. Lorraine Day, the former Orthopedic Chief of Staff at San Francisco General Hospital and the wife of retired Congressman Bill Dannemeyer, about the evils of the present medical system. The initial portion of the interview went as expected and was filled with scores of examples of pharmaceutical and medical insurance company greed and abuse which has resulted in the deaths of untold numbers of patients. Then Dr. Day dropped a bombshell when, at the conclusion of the interview, she unabashedly stated that the global elite want to murder 95% of the population. I was shocked and my personal reaction, at the time, was to reject her statement as a gross exaggeration. In April of 2009, I interviewed Dr. Rebecca Carley and medical researcher and author, Patrick Jordan, at the very beginning of the swine flu outbreak and both guests made very similar claims with regard to an intentional depopulation program by the global elite. In this particular instance, Dr. Carley and Mr. Jordan pointed to the, as of yet, undeveloped H1N1 flu vaccine from which they claimed would be the primary catalyst in depopulating the world in a classic case of the cure being far worse than the disease. For the past four months, I have researched the following question: Is there a deliberate attempt on the part of the global elite to eliminate a substantial portion of humanity through the use of a bioengineered swine flu virus and its more deadly accompanying vaccine? As with any murder plot, whether it be a single homicide, or mass genocide, the deadly plot contains the same essential elements: (1) motive, (2) intent, (3) means, and, (4) opportunity. In part one of this series, both motive and intent are examined by presenting the words of the globalists themselves. Through my research, I have discovered that the notion of creating and implementing an intentional and systematic depopulation scheme was not a new phenomenon. The global elite have long advocated for draconian population reductions over the past several centuries. For example, Thomas Malthus argued that the population growth, by the poor, inevitably outstrips food production and leads to a massive retaliation from Mother Nature (i.e., Malthusian Controls). His infamous “Malthusian Controls” which are taught to every first year sociology student, has become a cornerstone belief for many modern day globalists who advocate population control by any means necessary. This radical and dangerous idea promotes the unproven notion that the poor deserve to die because there are too many of them for the Earth to adequately support. Malthus believed that higher wages and welfare should be withheld from the great unwashed because he believed that these two factors would allow the poor to survive and exponentially breed, thus compounding the overpopulation problem. Perhaps these were merely the musings of two twisted individuals, which do not represent any type of central philosophical belief. Unfortunately, the theories of Malthus, Sanger and other population control advocates did not die with them. As I discovered, this is a reoccurring theme contained within the personal words of several dozen global leaders. Is there motive and intent that can be gleaned from the words of several global leaders? Perhaps, the best way to answer this question is to look for consistent patterns in the quotes of several global leaders, themselves. I believe that human overpopulation is the fundamental problem on Earth Today” and, “We humans have become a disease, the Humanpox.” Dave Foreman, Sierra Club and co founder of Earth First! There can be little doubt that depopulation is a consistent theme of global leaders and the idea has been around for a very long time. Preaching drastic population reduction may be one thing, but when the actions match the stated intent, all of us would be fools to not pay close attention and act accordingly as circumstances warrant. Part two of this series will examine the subject of the H1N1 vaccine as a possible/probable catalyst to bring about the type of depopulation instrument needed to do what seems to be called for in the abovementioned quotations from various global leaders. The quotes from part one of Depopulation by Inoculation originating from many prominent globalists, past and present, are frightening to say the least. At best, the seeming majority of our global leaders hold the common man in utter contempt and disregard (e.g., “use eaters”). At worst, the long time anti-globalists may be correct in taking the genocidal quotes at face value as tangible evidence of intent and motive which could lead to some very dark days in the future. Part two of this series examines whether, or not, the NWO crowd has the means and opportunity to carry out the intent as identified by their very disturbing statements. The regular flu virus is lethal as it is responsible for more than 36,000 deaths in the United States in any given year. The “H” refers to the viral hemagglutinin protein, and the “N” refers to the neuraminidase protein enzyme. There are H1N2, H3N1, H3N2, and H2N3 strains of swine flu endemic in pig populations. Suddenly, from seemingly nowhere, there is the H1N1 Swine Flu virus from the catalyst of mankind’s greatest potential pandemic? Or, is this as some have suggested, a bioweapon designed to frighten the masses into accepting unsafe vaccinations in a classic example of the Hegelian Dialectic in which the problem is created and then the omnipresent profitable cure is brought into play? Would any group have the means and the opportunity to carry out a program of intentional population reduction and then subsequently get away with it? The answer is a resounding yes! The following legislation would allow the perpetrators of such a plot to gain a level of plausible deniability, blanket immunity from any future prosecution, and a wide array of modalities from which to legally carry out such a plan of population reduction. No doubt the above provisions of this law will allow many to breathe a sigh of relief and implicitly continue to trust their government. But as they say, the devil is in the details. Please look at the exceptions clause contained within this law which are listed below. purpose related to riot control. In other words, the government and the medical corporations have blanket immunity so long as their “experiments” are for one of the three exceptions. In the country of H1N1’s purported origin, Mexico, only 85 deaths have occurred from the outbreak. In the United States only 127 deaths have occurred and a mere 311 people have died worldwide. And for this, the news media is whipped into a state of swine flu hysteria and various governmental agencies are expending massive amounts of resources to engage in disaster preparedness qand martial law drills, ostensibly in anticipation of the over-hyped swine flu outbreak this fall. And if this were a real threat, wouldn’t health officials have moved to suspend air travel at the time of the outbreak? Of course they would have, if containment and public safety were the true objective. Since I first interviewed vaccine expert, Dr. Rebecca Carley and medical researcher, Pat Jordan, on The Common Sense Show, in April of this year, I have been contacted by several medical researchers and physicians who reinforce what Carley and Jordan stated on my show in which they specifically state that the H1N1 virus has been genetically engineered into a weaponized virus. Extensive analysis of H1N1 has found that it contains the original 1918 H1N1 flu virus, the avian flu virus (i.e., bird flu), and two new H3N2 virus genes from Eurasia. H1N1 has gone through a definitive genetic shift, as opposed to a genetic drift, and has skipped countless numbers of generational mutations. This is not mutation, this is engineering. The World Health Organization (WHO) has awarded contracts to Baxter Pharmaceuticals and Novartis Pharmaceuticals to engage in a race to produce the H1N1 vaccine. A brief look at their relative safety track record is in order. It is very surprising that WHO and the U.S. government would award Baxter, as one of the two Pharmaceuticals who would be entrusted to develop a vaccine in this supposed massive threat to humanity in light of their track record of safety and utter disregard for the safety of future patients. Baxter has been associated with two deadly instances involving malfeasance and scandal which has served to endanger the public. In 2006, hemophiliac treatment elements were contaminated with the HIV virus which was injected into thousands of patients. In a complete disregard for human safety and welfare, Baxter continued to sell and subsequently dispense the HIV infected vaccine even after the contamination was discovered. In even a more egregious act in this past winter, Baxter released a traditional seasonal flu vaccine contaminated with the Avian (bird) flu virus. Fortunately, some alert Czech Republic lab workers discovered the contamination in the nick of time and stopped the imminent shipments, headed for 18 countries which would have easily developed into a world pandemic. What makes this story particularly disturbing lies in the fact that level 3 containment protocols, which is a WHO requirement for the handling of toxic materials, mandates that these materials were to be kept separate. And this was totally ignored by Baxter. The only question remains, was this a case of gross and unimaginable incompetence or was this a deliberate and planned event? In a classic case of faking with the right and then unleashing a devastating overhand left handed punch, Novartis s has quietly emerged as the leading contender, to develop the H1N1 vaccine also has an agreement with WHO, and they appear to have won the race in developing a pandemic vaccine. The H1N1 vaccines contain ingredients called adjuvants which are strongly associated with causing life-threatening autoimmune disorders, including MS. Animal studies using this adjuvant have found them to be nearly 100% deadly in a series of repeated studies. In a disturbing development, Novartis has acquired the scandal ridden Chiron Company which has specialized in the development of the adjuvant, MF-59, which has been strongly implicated in the explosion of Gulf War I autoimmune illnesses suffered by American GI’s, who took the infamous anthrax vaccination (Google Joyce Riley for more details). The dangerous ingredient in MF-59 is squalene, when used in vaccines, is associated with every dangerous autoimmune disease in existence. Novartis has incorporated MF-59 into its H1N1 vaccine which also includes tetanus, diphtheria and mercury. And WHO and our very own government thinks this is acceptable medical practice and is preparing to unleash this nightmare upon an unsuspecting American public? If one doubts the validity and voracity of what you have just read, then please allow me to invite you to listen to The Common Sense Show (www.republicbroadcasting.org and click “listen live”), on August 23rd, from 930-11pm (Central) as I interview Dr. Carley and medical researcher and author Patrick Jordan. Their documentation and systematic presentation of the fact should put to rest any doubts as to the deadly seriousness of this coming threat. If the coming H1N1 vaccine was an option, available to the public, and not going to be mandatory, then this piece would represent the ramblings of paranoid conspiracy theorist. However, there are voices, quieter voices from law enforcement which are warning us that we should be on guard for what is coming. On July 5th, on The Common Sense Show, Annie DeRiso and I interviewed Scott Wagner, the director of the Columbus, Ohio Police Training Academy, and he was adamant that high ranking police, everywhere, are privately arming themselves to the teeth for what is coming (i.e., martial law). Martial law? In response to what? As a result of one my recent shows on the coming deadly vaccine, I have been contacted by law enforcement personnel, from three different states, which have, in effect, confirmed the Evensen account. I can unequivocally state that each of the law enforcement personnel were genuinely frightened and were hopeful that the dissemination of their private accounts could forestall the coming events through exposure. I don’t normally put stock in anonymous accounts by individuals who are too afraid to go on the record, unless you consider that I have known one law enforcement source since childhood. When one couples this information with the public knowledge that NORTHCOM, DHS and FEMA have been conducting drills designed to quell domestic insurrection along with numerous martial law exercises, it is difficult to believe that America is not about to see her darkest days and these dark days have the potential to rival, or exceed, anything the Nazi’s ever perpetrated on innocent civilians. Is this government sponsored depravity linked to greed or depopulation? Over the past four months of research, I have concluded that both reasons provide the motive for the coming horror. When these lethal injections begin and innocent people begin to die, the government, both the pharmaceuticals and WHO have a strong case for plausible deniability. There will remain doubt as to whether victims died because of the effects of the flu or from the vaccine itself? And under a state of martial law, who will be there to question the autopsies and to watch the watchers? 1. Novartis and possibly Baxter will make billions of dollars from this manufactured crisis. 2. Federal officials and Novarstis get to claim victory when they decide to retire the crisis, thus “saving” the remaining survivors. 4. The global elite get to significantly reduce the population. 5. The survivors of the pandemic, whose immune systems are permanently damaged will provide a steady revenue stream to treat the growing group of autoimmune damaged patients with corporate medical services owned by the global elite in this very draconian win-win for our soon-to-be masters. 6. The last vestiges of democracy will disappear from American life forever. Can we stop it? Massive information dissemination of these facts could derail their plans, this time. Of course, they will be back with another scheme. Indeed, the price of freedom, is eternal vigilance. Dave Hodges is the host of THE COMMON SENSE SHOW which airs, nationally, every Sunday evening, from 9-11pm /central. The show has a growing national and international audience. THE COMMON SENSE SHOW can be accessed on you local stations, KUband satellite and from anywhere, on the internet, at www.republicbroadcasting.org and click the listen live button.